Yes, it is extremely frustrating, indeed, Bill. This is how I'm feeling lately too, thanks to the bully that has been Mother Nature, pummeling the east coast first with a major hurricane and then with a quickie Nor'easter dumping rain, snow, trees and power outages on our already wet and previously-pummeled parade. In my case with both storms, I went to bed in a warmly heated, pleasantly lit home and awoke at an Ungodly pre-dawn hour in a dark, cold room. Quickly, I checked the alarm clock for the red glowing numbers. It's like I wanted to stand up, throw open the window and scream, "NO! NOT AGAIN! MAKE IT STOP!" But that would be senseless and I might disturb the neighbors. I was forced to face facts once again. As we spoke about in the last post, we human beings don't stand a snowballs chance in hell against the fury that is Nature, an ill-tempered beast that she is, at times, bent on destruction and heartache. If that isn't a bully I don't know what is. Bullies, it would seem, take many forms. (Insert seamless segue to the actual topic at hand.) In addition to the weather, lately it has come to my attention that bullies hide behind their computer screens in the most seemingly innocent of places. Some bullies pose as readers, lovers of the written word. Yet, dare they come across a book that does not fit their particular style. Woe is the author who spends two years or so of his life crafting a novel that the Bully doesn't happen to like for one reason or another. The Bully, disguised as a "reviewer" will think nothing of attacking said author, to within an inch of his life - all from the comfort of Bully's keyboard. Please, readers, I implore you. Dislike and disagree all you want to but do not disparage. Pause before you write. Ask yourself if you would be inclined to say those things to the author's face. State your case, share your opinion, and remember it is just that - an opinion. Not a rule. Others may be likely to see it differently. And by all means try a little tenderness. Another case is that of these so-called forums designed to provide an informative meeting place for gathering information on literary agencies and agents, publishers and editors. Of late, I'm discouraged to find so much in the way of mob-mentality, name-calling, nasty, mean-girl attacks against innocent people on these forums. This behavior is simply atrocious and unacceptable. Haven't we learned to do unto others? To settle our grievances like adults? To play nice? I'd like to think we have. And yet...the sad fact is, bullies roam here too. In the wake of the recent weather-related natural disasters I climb aboard my soap box to suggest that we take a moment to consider the feelings of others, the possible suffering of which we may not be aware by outward appearances and conduct ourselves accordingly. With humility, graciousness and kindness. Thank you for allowing my minor rant. Please know that I appreciate the good in each of you lovely people who visit here. Your support means the world to me :) Peace out! Yes, Christi! The election stuff was just awful. People were attacking others simply for the sake of venting their frustrations. Groups as a whole were being persecuted for merely having an alternate belief system. I could barely stand FB or Twitter for the past few months. I keep thinking of the profound words of John Lennon, "Imagine all the people, living life in peace." If only somehow there was a way! Great post. The internet is wonderful yet so destructive. 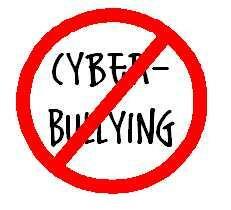 One cannot feel good when posting something hurtful toward someone else. So sad the world is full of so much anger and judging. But, even though there are times we want to lower ourselves to their levels and fight back, we must stand for what is right. It's hard and I fail at times but we must keep trying and never give up the good.